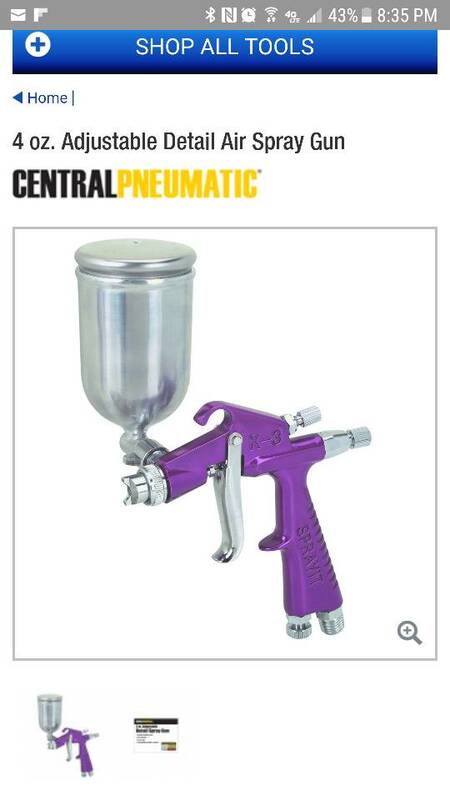 If the weather is good tomorrow, I'm going to try and set up my HVLP touch up gun. 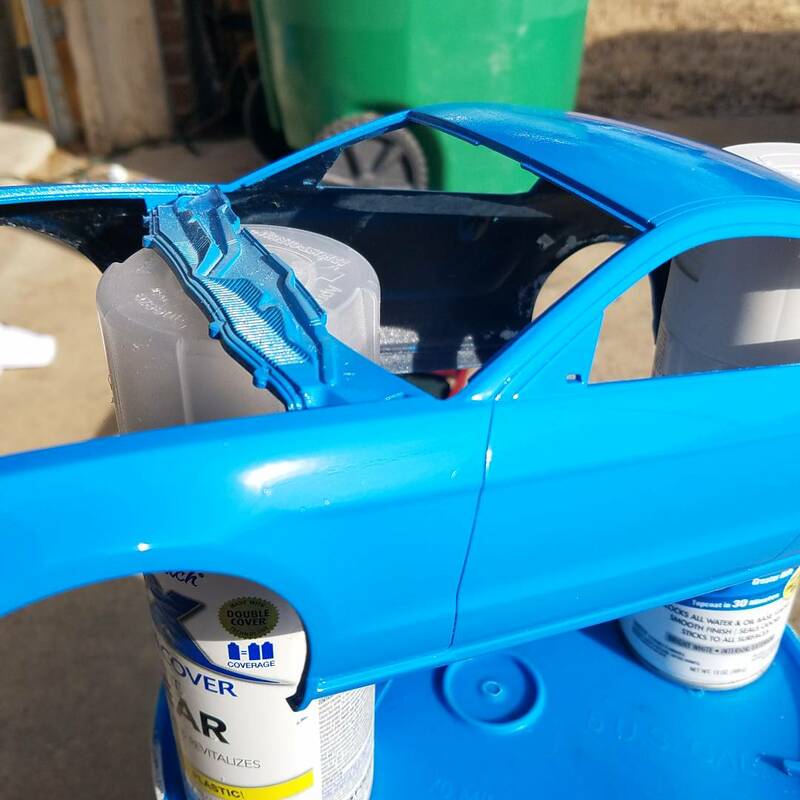 It is a CHEAP piece from Harbor Freight, though I know a lot of guys who have had good success with it spraying their model cars. I will pretty much be shooting clear only with this gun. I typically use Omni 2 part clear. Do I need to use a reducer? Really I think it depends on what you’re spraying and if the clear requires a reducer. I don’t think they all do. I haven’t sprayed anything in a long time. 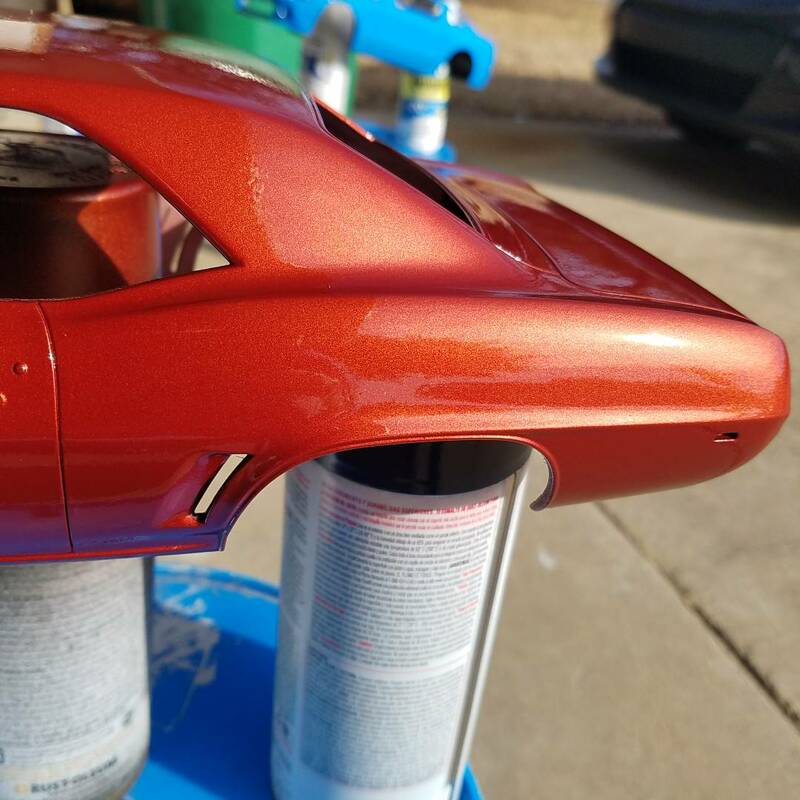 I’ve been using the duplicolor pre mixed clear coat. It works pretty well. 4 for clear coats with a VOC greater than 3.5. I get OK results when spraying this clear with my dual action Iwata airbrush. Hopefully this gun is usable and yields better results. maybe it's just the lighting or the camera, but it looks like it was pretty dry and has lots of texture to it. With that small of a tip you might need to go slower to get it wetter, but even then it's gonna be tough. Yeah, there is a lot of texture. I was afraid of it sagging. 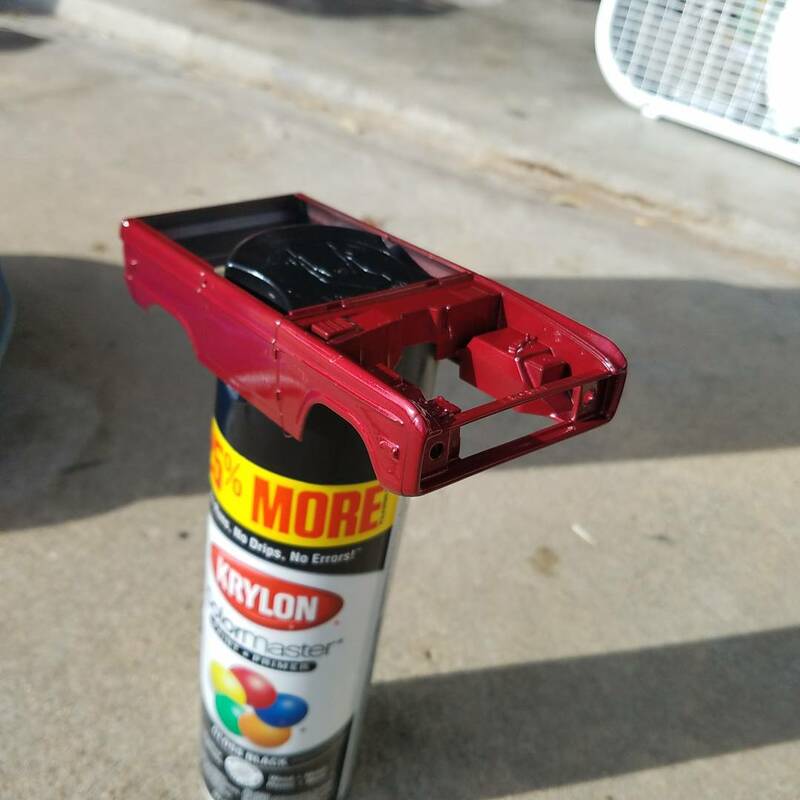 I started to get the hang of it the more I sprayed. 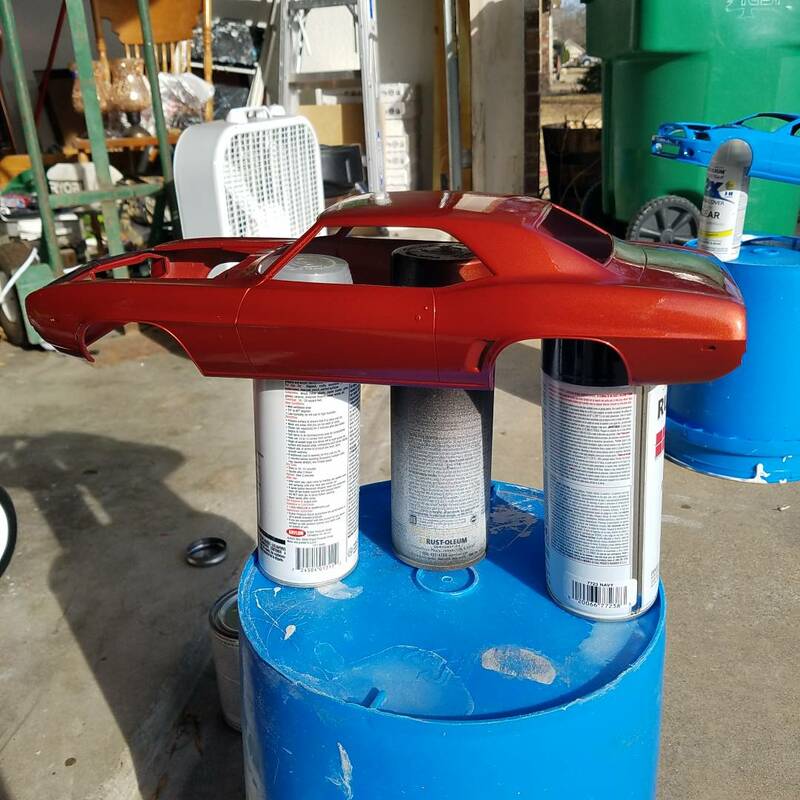 I will have to level it all out and re-spray it. As I slowed my side to side motions, it layed down pretty good. I currently have the spray pattern set up as wide as it will go (all the way open) and the fan spraying vertically. I could definitely stand to reduce the spray pattern. How about the orientation and spray top to bottom instead of side to side. With such a fine tip, it might be hard to get more material without just going slower or getting closer but then you can easily get runs. I was spraying pretty close <6" fron the surface I think. That's a whole lot of air for such a small needle. 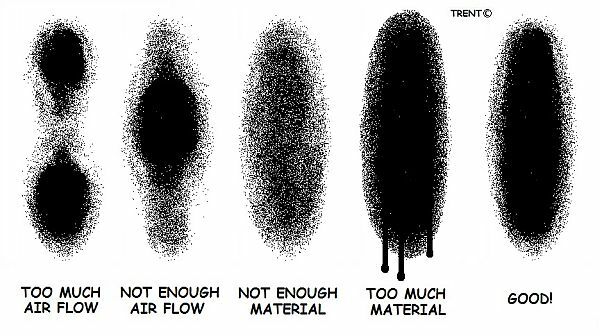 IMO you should lower your pressure to about 20-25 and continue to reduce pressure from there until you get good flow out. 35psi is more intended for full size guns.